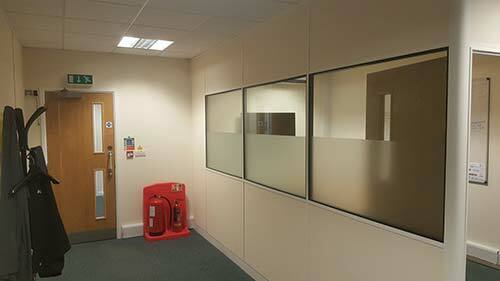 Commercial interior painting for Agrii - Pro Glos - Professional Painting & Decorating. 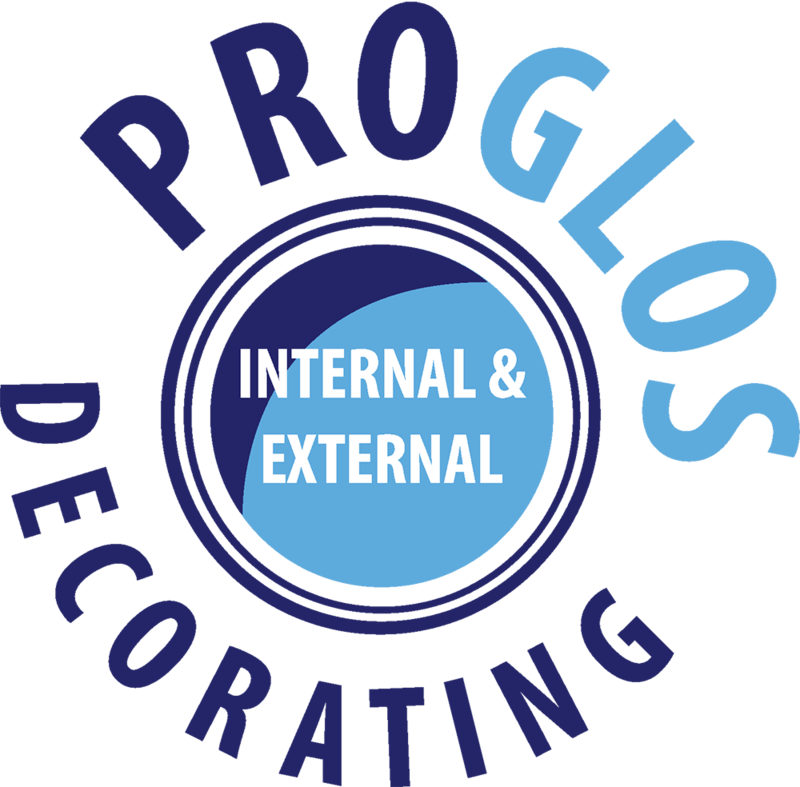 Here at ProGlos Decorating we were delighted to be approached by Agrii, in Andoversford Cheltenham. 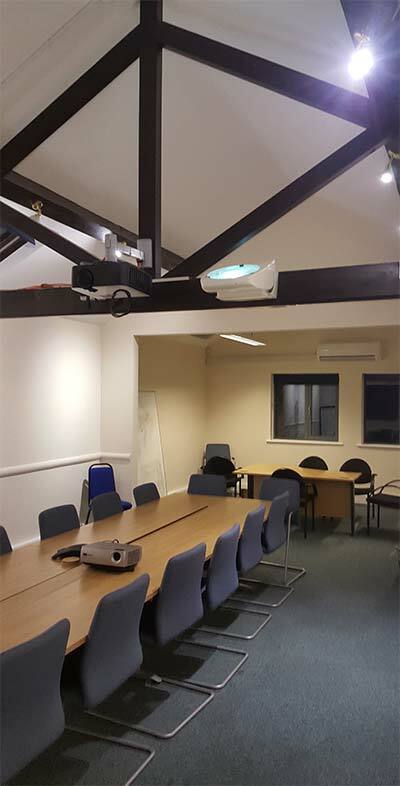 We were asked to repaint and redecorate their offices to include open plan offices, meeting rooms, hallways and the reception. 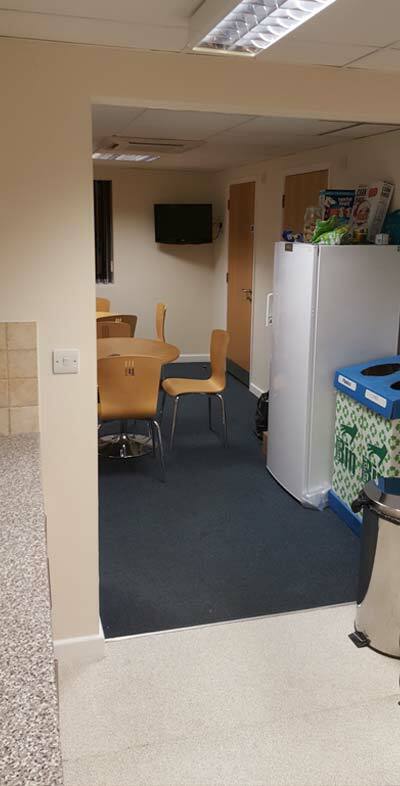 With a large project, such as Agrii, the main challenge is making sure we don’t get in the way of the staff as they go about their work whilst remaining productive with ours. With meeting rooms, hallways and less busy areas we could time things accordingly. 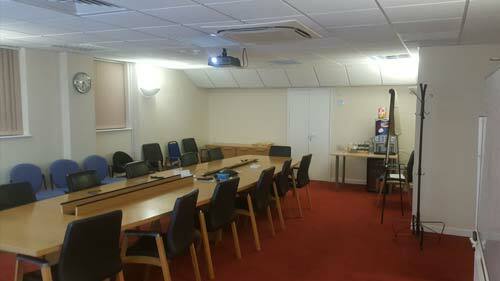 However, with an open plan office we did some out of hours work to ensure the smooth running of their business. 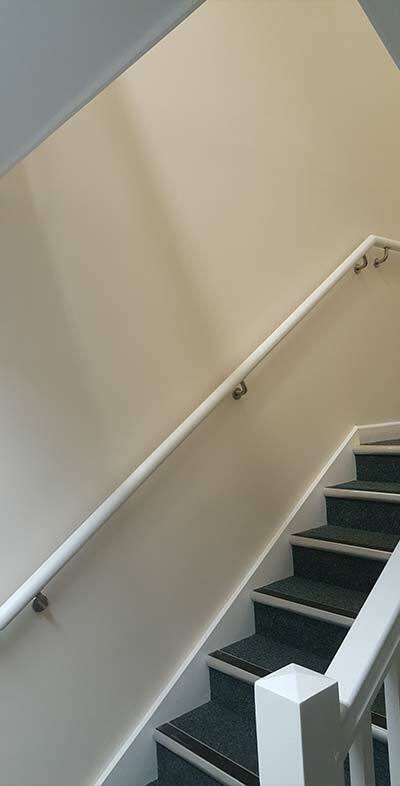 Offering out of hours as an option means we can gloss handrails or anything that might be touched. 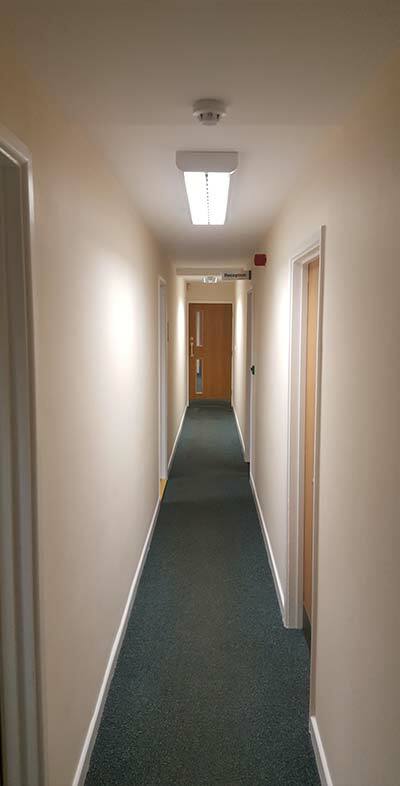 Agrii wanted a modern neutral look throughout but also for it to be durable and increase maintenance timescales. The type of paint finish we choose is dependent on wear and tear and being fit for purpose. 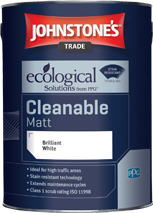 For the best results for Agrii we used Johnstone’s Ecological Cleanable Matt. This water-based paint has a number of benefits such as no unpleasant odour, faster drying times and ensuring a matt finish which not only hides imperfections but can also be wiped down in high traffic areas. At Agrii one of the hallways is multi-functional as staff are able to store their bikes during the day. With freshly painted walls this is an issue with high traffic areas as they soon become scratched, dirty and tired looking. We suggested installing some perspex into these areas to keep it looking fresh but without damaging the walls and of course being able to wipe it down. Additionally we used a durable paint throughout for areas without perspex. Each week we would start with a consultation and plan. This approach ensures we are getting regular customer feedback and also allowing for adjustments in the brief as the project progresses. 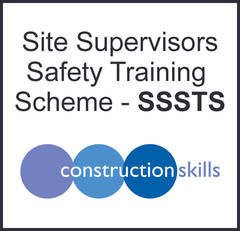 Agrii were very happy with the approach and work we did throughout. But also that we had been considerate, tidy and organised. 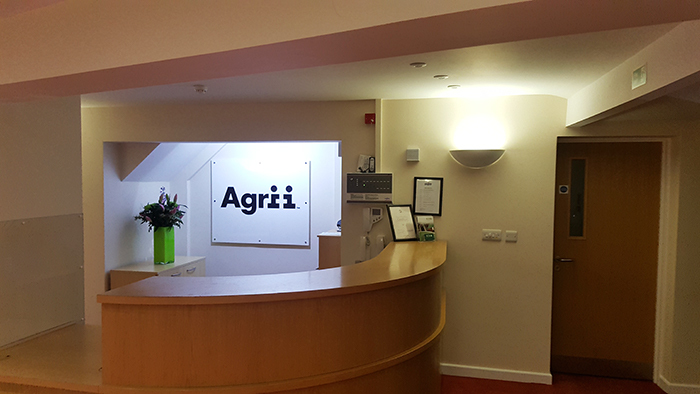 We were delighted to be asked to return to Agrii to do a second phase of work.